Welcome to the May Photo A Day Challenge!! Below, you’ll see the list. 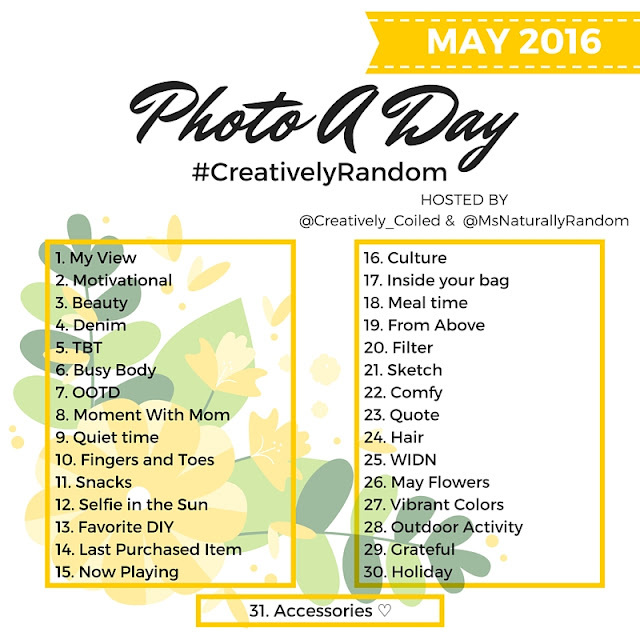 Each day has a different prompt, encouraging you to use that prompt as inspiration for your daily photo. Although each day is themed, it's totally up to you to how to interpret that day's theme. You can then share your photo on either Facebook or Instagram or both! 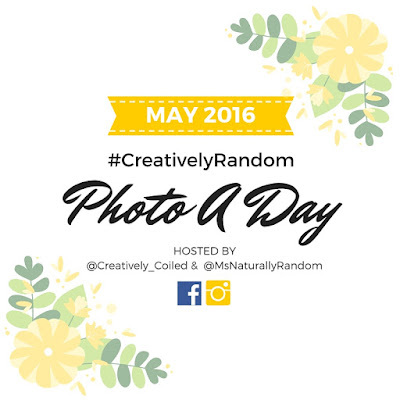 To share on Instagram, just upload with the hashtag #CreativelyRandom and tag @creatively_coiled & @msnaturallyrandom so we can find you daily! Then, you’re done! 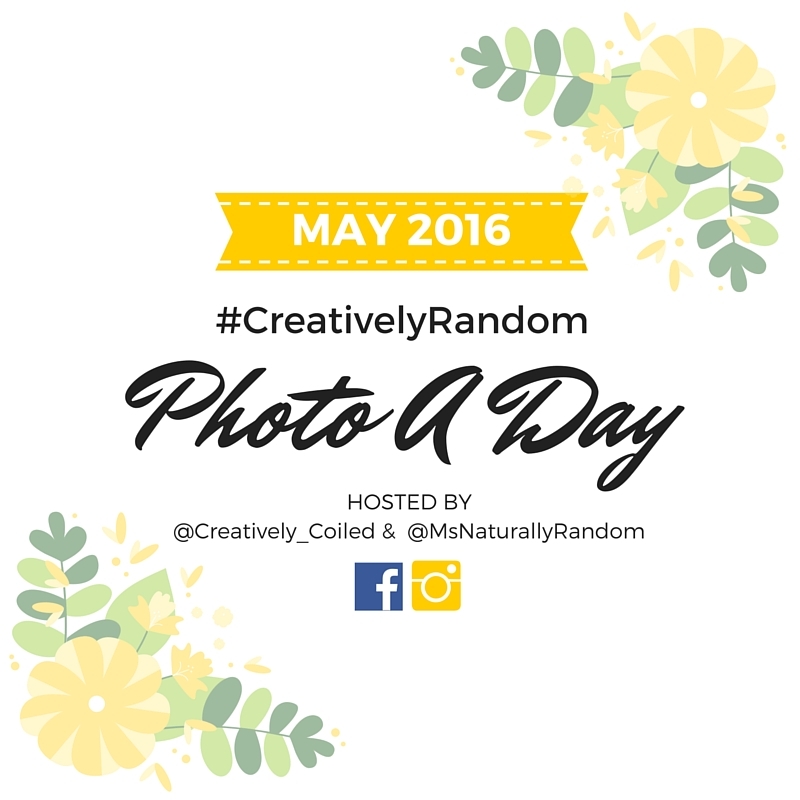 Note: If sharing on Facebook, just upload to your personal page (or @MsNaturallyRandom page) using the hashtag!